Brush Wizard: Shojo all Painted! 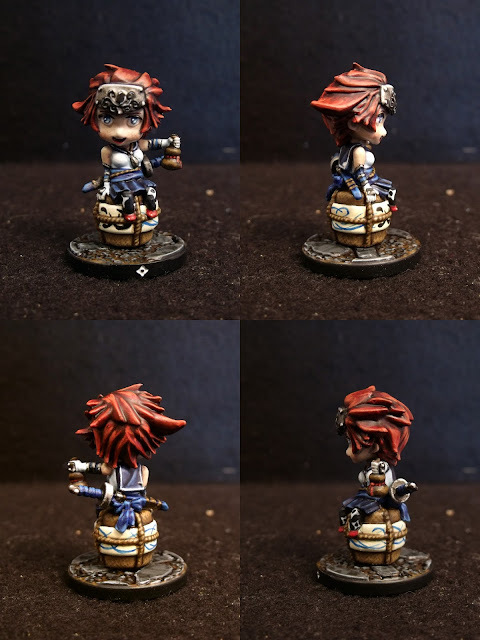 I'm really pleased with the way she turned out, especially the barrel with its wicker surface and label. I had hoped to do NMM on her, but I decided against it since I didn't want to screw her up and I would rather use a cheaper model for practice. Great work on her Scott. The colors and details are amazing while still keeping that cute chibi look. Thanks Joe. I tried to be as true to the actual artwork as possible on this one.